Giggles Magoo has spoken about missing out on one of his “MUST DO Holiday Bucket List” items… he had very much wanted to find snow in Switzerland, mostly so we could do battle with snowballs. 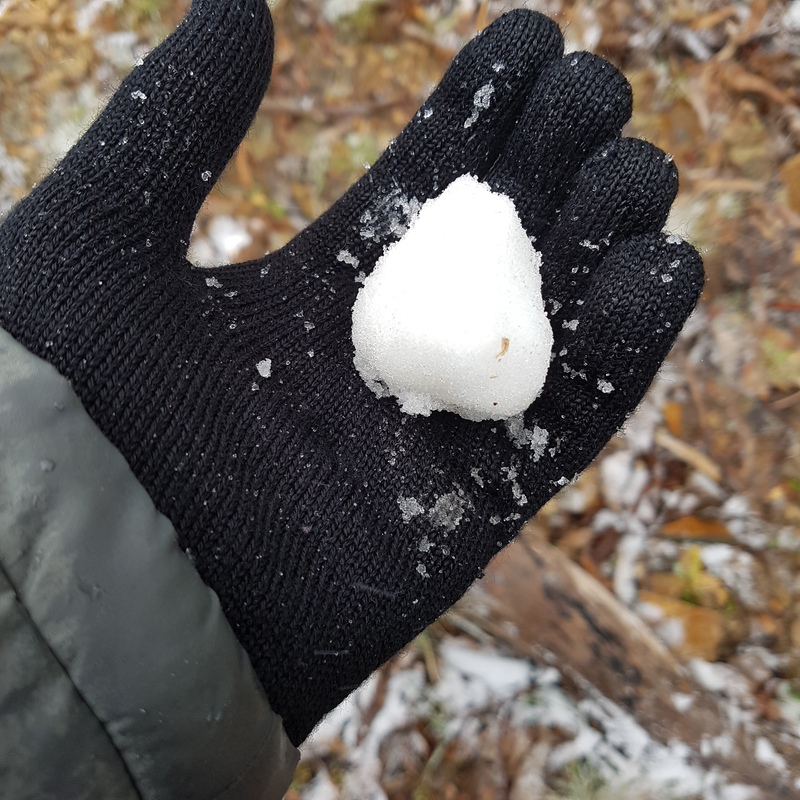 His dream of a snowball fight was really only to throw a snow ball at me in retribution for a snowball-to-face incident 2 years ago. Geez, this kid doesn’t hold onto much, does he?! 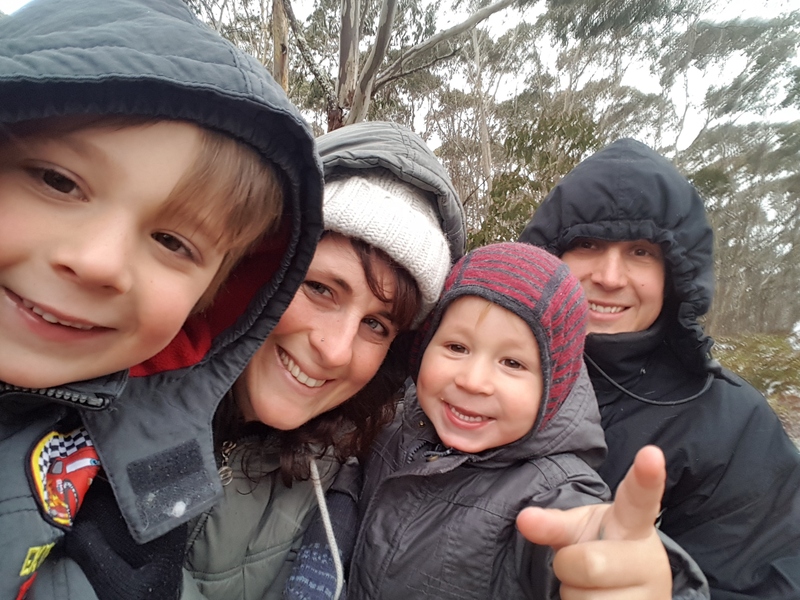 Unfortunately, as we were visiting Switzerland in Summer, his dream was not realised, so when there was a bit of a rumour that a little snow was going to hit the Oberon Plateau last Wednesday we knew an adventure was on the cards for Family Day. Grimace seemed particularly happy to spend the day hunting out some of the magical white stuff, so we made the plan to hit the road, early. 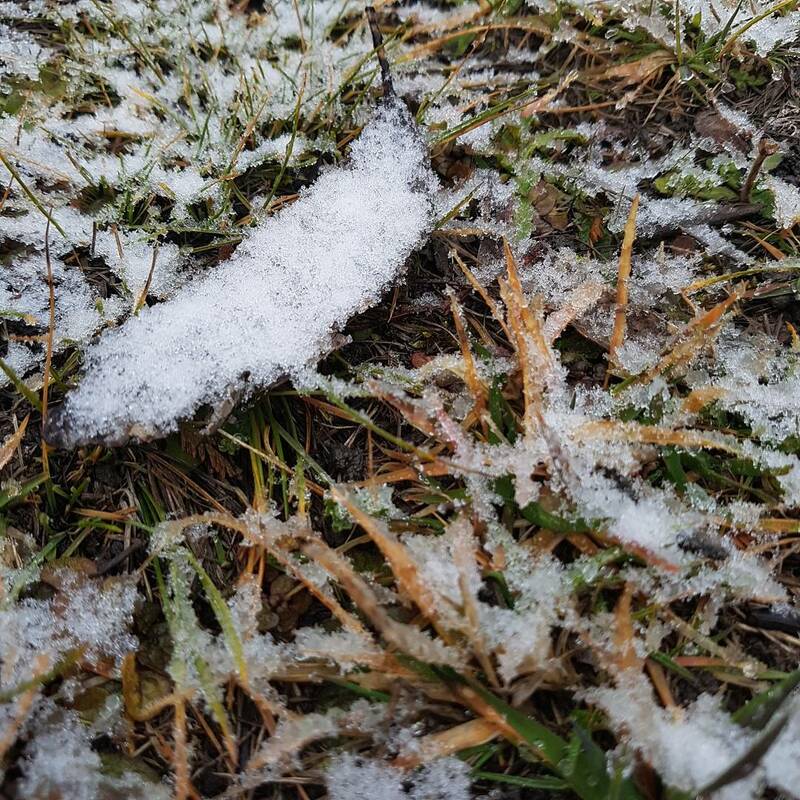 I hadn’t really thought it through though, obviously: not only did we commit to the daunting task of leaving the house by 6am, I was going to get hit with some snow, square in my noggin! I can now see why Grimace was so keen for it! At least Giggles Magoo did his best to get us up and out the door to hunt down the snow… He was awake at 4:30am (a completely unrelated wake-up to snow-chasing, but I’m going to run with the fact it was his enthusiasm that aroused him from the sleepy state he should have been in. Somehow pretending he was being helpful makes that 4:30am wake up easier). 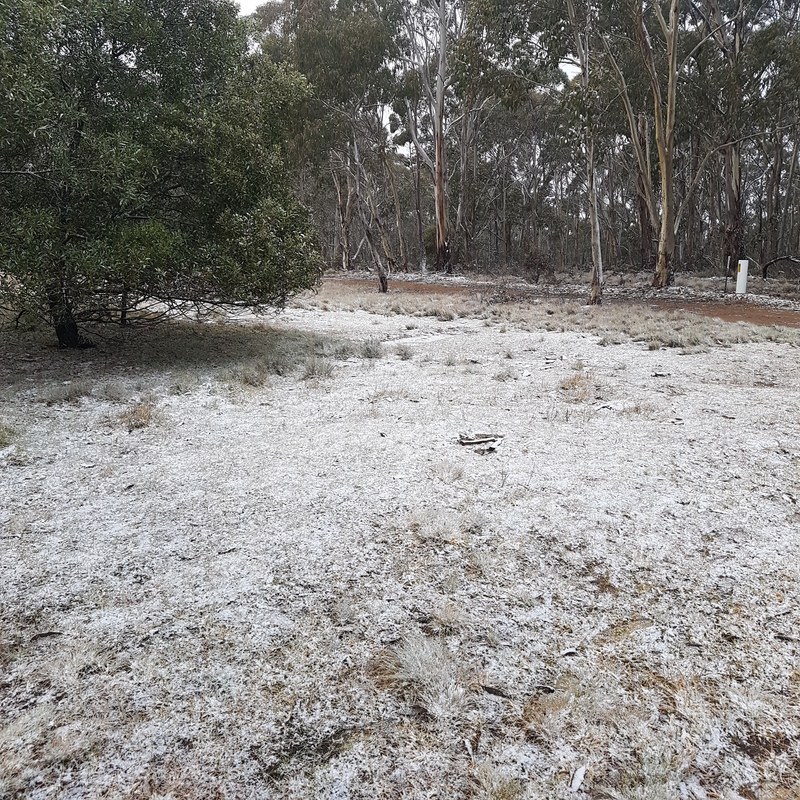 We packed our warmest winter woollies, some delicious snacks and were pulling out of the driveway at 6am. 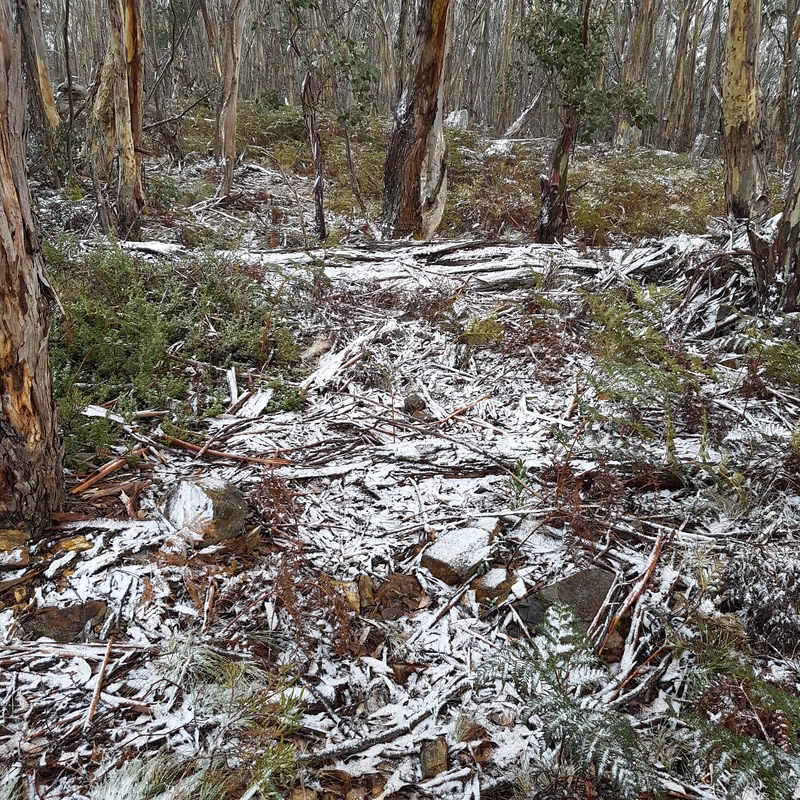 Only to get 100m up the road to remember I’d forgotten to pack gloves for the kids… Back home we went. Once 6:15am rolled around, we finally found ourselves on the Great Western Highway, heading up the hill. 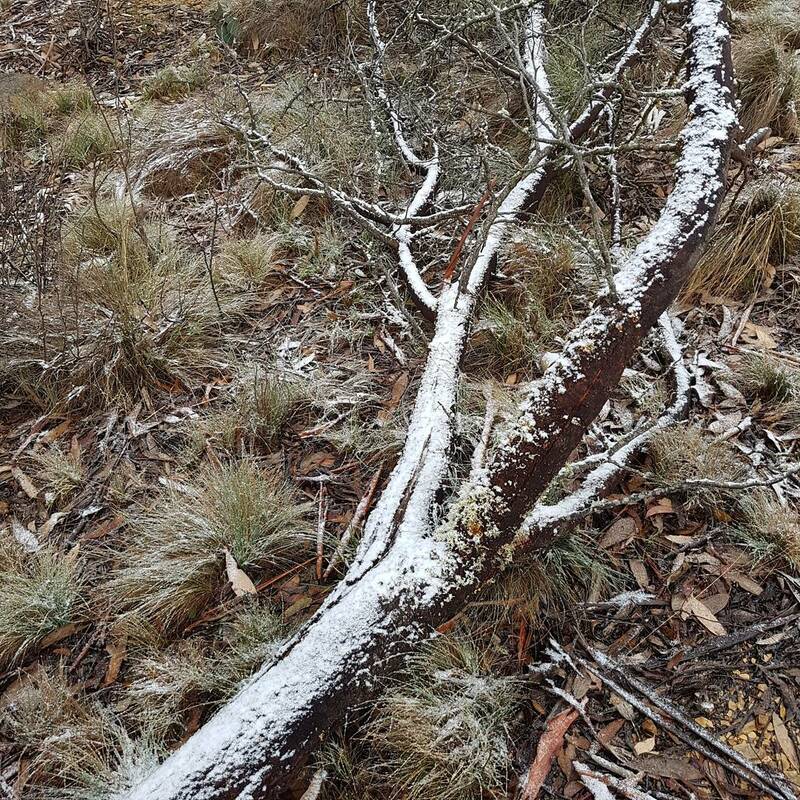 With the assistance of the wonderfully informative website Blackheath Weather, our GPS was set to Mount Trickett (between Oberon and Jenolan Caves). Due to the elevation (roughly 1300m), apparently Mount Trickett will provide the best opportunity to sight snow (thank you for that sage advice). Driving up over the mountains, down Victoria Pass and then onto the turn off for Oberon, it felt like our hope of the Great White Blanket was beyond us – there was no sign of any snow, ice or rain and we were having to explain to an exasperated Giggles Magoo that the weather was not something we could control and maybe we weren’t going to be lucky enough to spot any on this trip either… It was like the universe wanted to make liars of us as parents, it is winter afterall. Just after the “we can’t control the weather” chat, we rounded the corner only to find a roadside FULL OF SNOW! I’m not sure who was more excited, Giggles Magoo or I?! 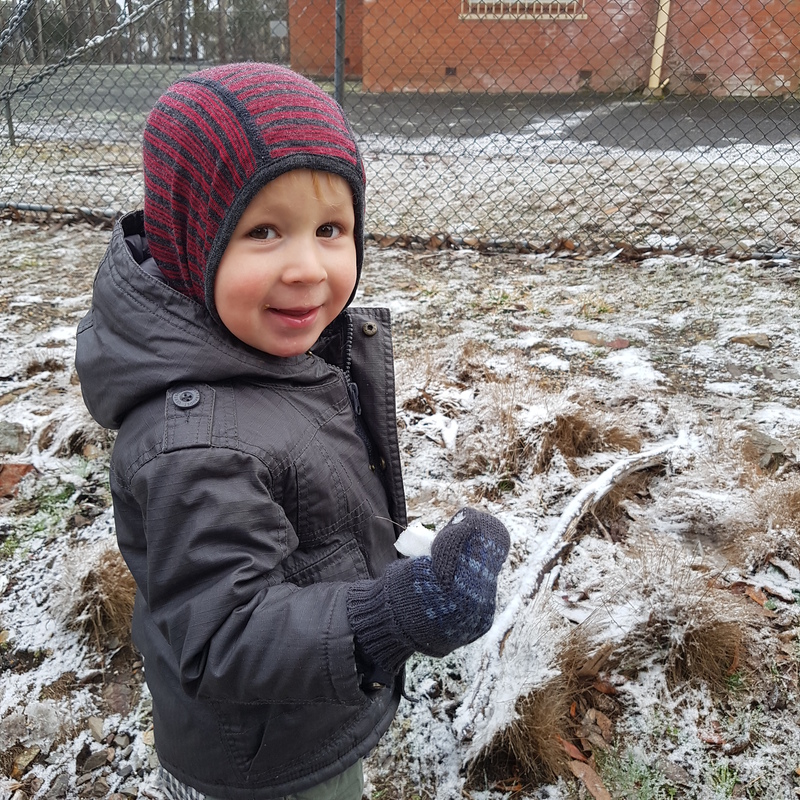 “I told you we’d see snow mum” he added, quite knowingly. We found a spot to park the car and explore the little snow that had settled. 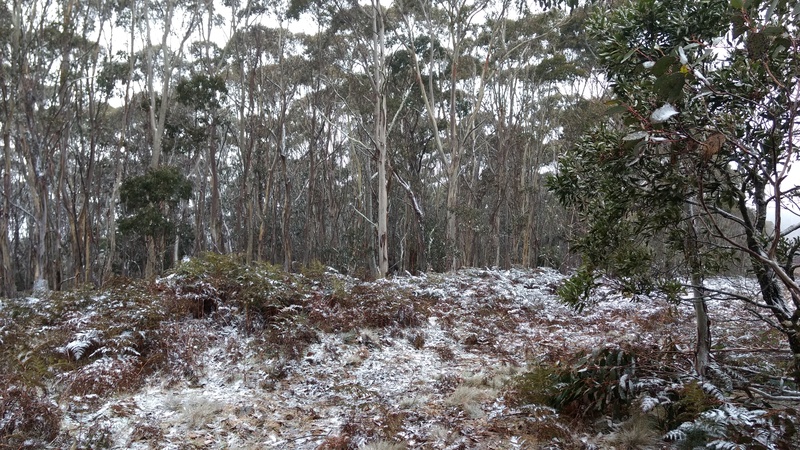 The gum trees smattered with snow made for a magical setting, making my heart sing. 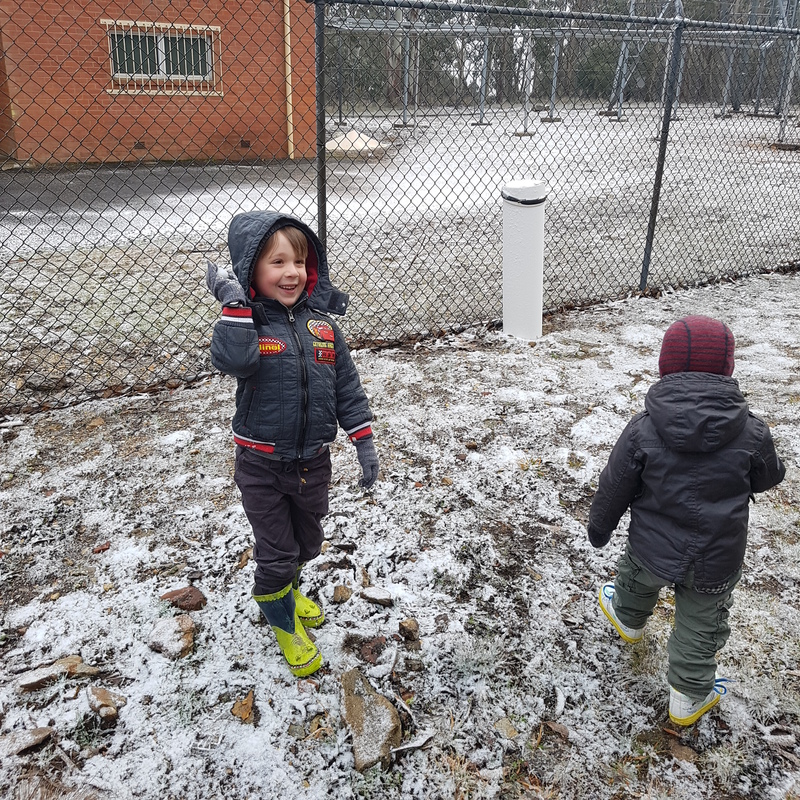 We were even able to scrape together enough snow for multiple snow ball fights. It was a lovely thing to listen to each of the delighted squeals as discoveries were made, especially the snow-covered Kangaroo poo. Whilst it was a far cry from a “dumping” of snow, it was just the right amount to justify our 2hr trip and made for a VERY happy Moody household. The scenery, the smells, the cool crisp air and doing it all with those I love the most. 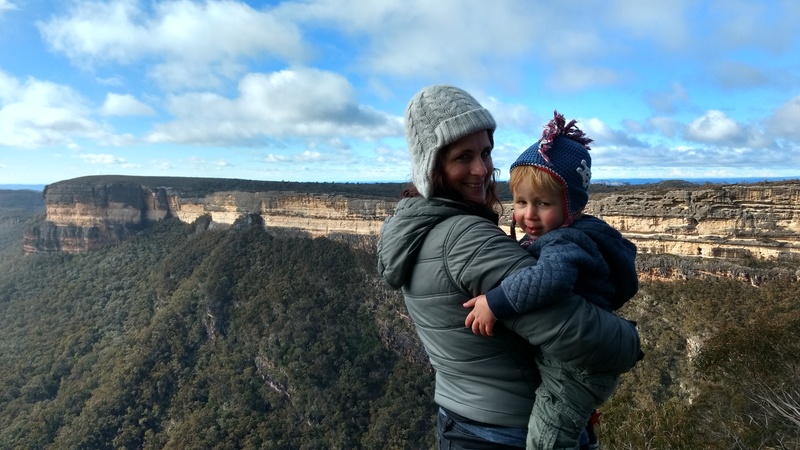 After we’d had enough snow play (read: wet and cold), we jumped back in the car to warm up and went for a spin out to Kanangra Walls (you know, just a 30km dirt road side-track). 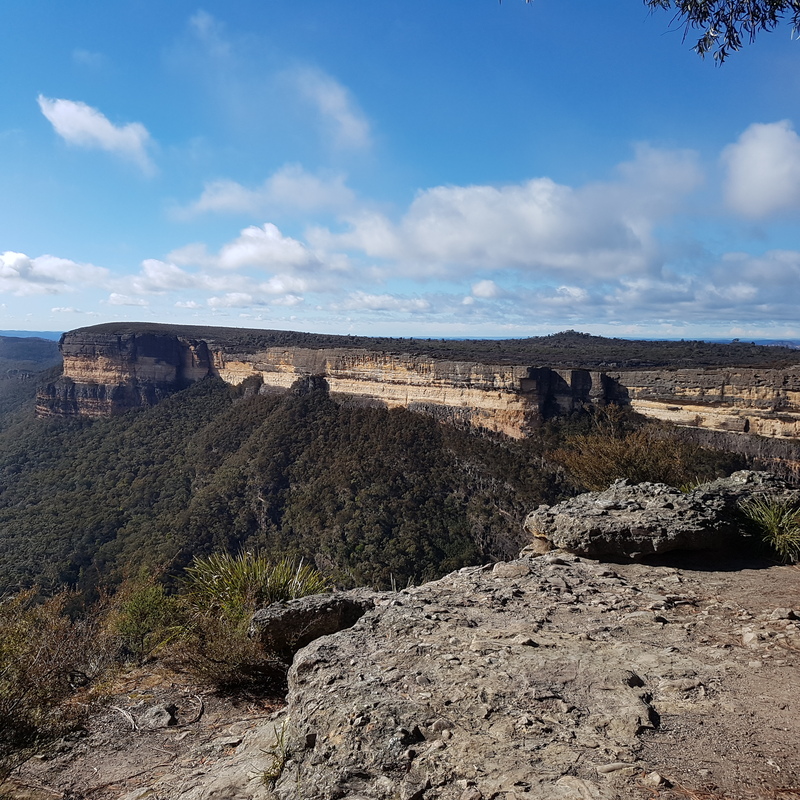 I can’t remember the last time I’d visited this particular region of the Blue Mountains National Park, so I was pretty keen to check it out – and from the pics below I’m sure you’ll be able to see why. 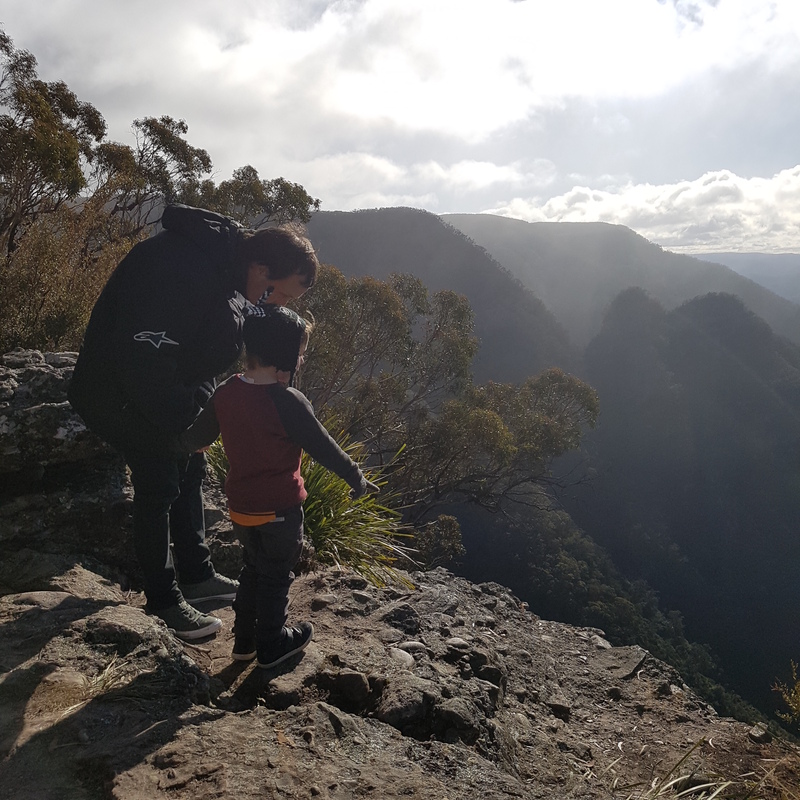 The car park to Kanangra Walls Lookout track is marked as a 30min return walk (Grade: Easy and very accessible) although I think even Little Mate walked it faster than that (and that included a lot of running the wrong way games). 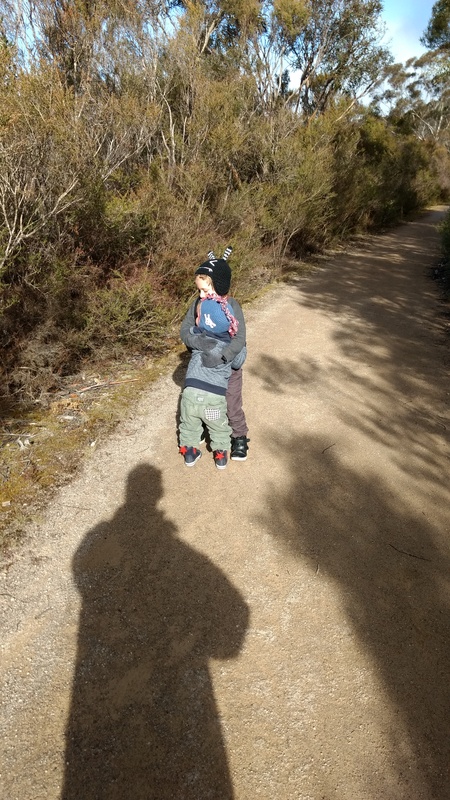 Much to the delight of the boys, we were greeted by a local Swamp Wallaby, spotted an abundance of bird life and met a couple who were about to do the three-day Cox’s River hike – I thought they were crazy for doing it in the middle of winter, but they assured me that winter makes the best time to do it…no snakes! I take their point. Reaching the lookout, I was completely blown away – a little by the wind, a little by there not being any fences but mostly that Little Mate had no fear at the edge. You’ll notice he doesn’t feature in too many photos here…we were both too focused on safety! As Giggles Magoo and I were sitting on what felt like the edge of the earth (Grimace was helping Little Mate to learn about caution), we heard the unique screech of a flock of Black Cockatoos through the valley. I couldn’t help but sit in complete awe as they flew right by us. These birds are just exquisite and a clear favourite animal of mine; I love their elegance in the air, the unique call they throw each other’s way and their mysterious colours. I could watch and listen to these birds for hours and hours on end. 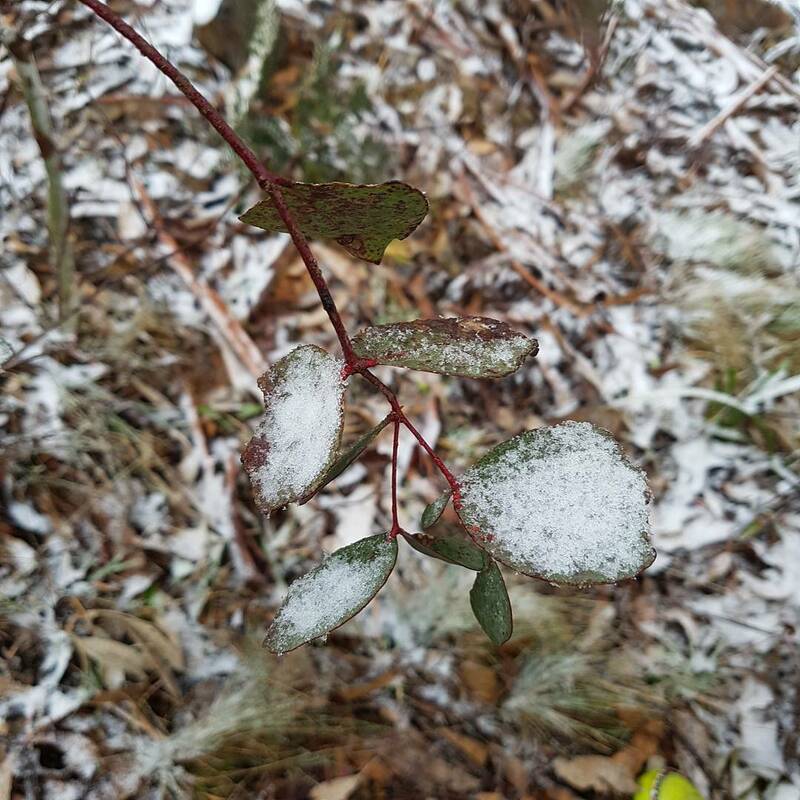 Having spent the morning watching little snowflakes fall from the sky, then have the Great Big Outdoors completely take my breath away, it won’t surprise you when I say I was feeling completely and utterly in love with the beauty of life. One of the grown-up things I’ve discovered is just how complicated, rushed and disconnecting day-to-day life can be. Taking the opportunity to observe some cold weather and a flock of birds effortlessly soar through a valley means I’ve re-discovered the beauty of the unplanned moment. I’d say our snow-chasing day has burrowed into the very depths of my identity, my soul and provided nourishment, without really even knowing it was needed. 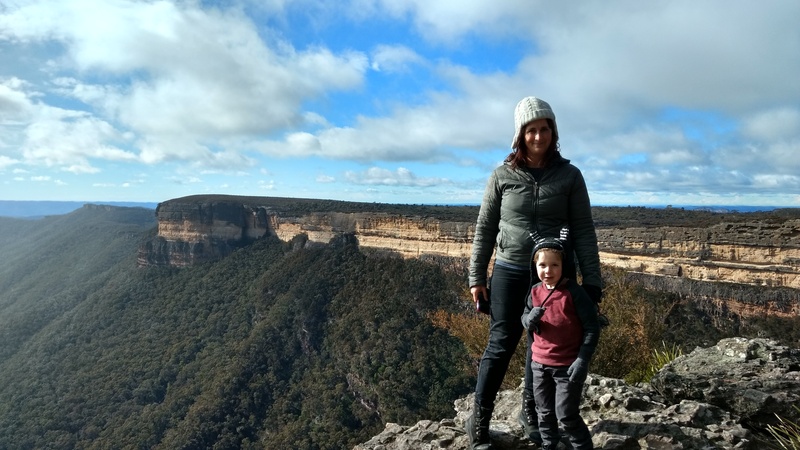 I felt connected to the land, to those birds and to my family…even if one of said family members was doing his best to fall off the cliff-face. We ended our adventure with a late lunch visit to Anoymous in Blackheath, because well, what’s a little soul nourishment without delicious food and an endless supply of coffee? I highly recommend the shareboard! Leaving home so early on Wednesday morning, I did not anticipate the opportunity for reflection the day would provide. I love the unique opportunities that present in life; now to remember to keep space to let them occur. So, we headed away. Overseas, on holidays, for 5 whole weeks. We left behind the impending Australian Winter, and made our way North for the impending Summer throughout Eastern Canada, Switzerland, Austria and Germany. It was awesome. 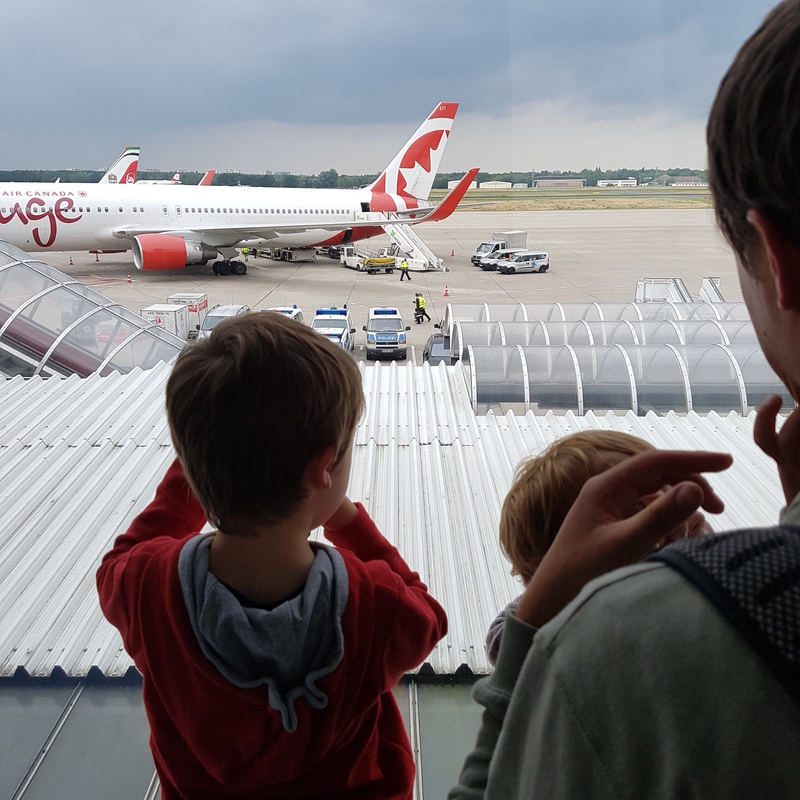 So, enter new plan… write about it in hindsight and post some pics of our trip to make you jealous (or plan your own outrageous family holiday). Over the coming weeks/ months/ years (in all reality, the latter should be the expectation) I’ll relive our holiday through here, hopefully with a little less of the travel chaos that a family of four inflicts.